Our custom waterfalls feature water flowing down the exterior of fountain surface. Unique and specialized design minimizes water splashing or misting. 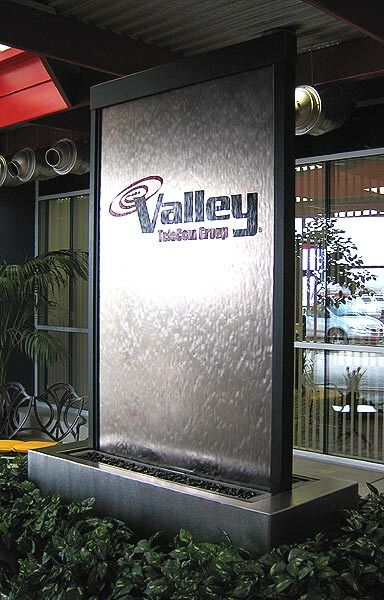 Typically the waterfall surface is tempered glass, however other materials may be used, including stainless steel or other metals, mirror, stone, acrylic, etc. The waterfalls are custom built to your specifications, or we can create a custom design to suit your location. 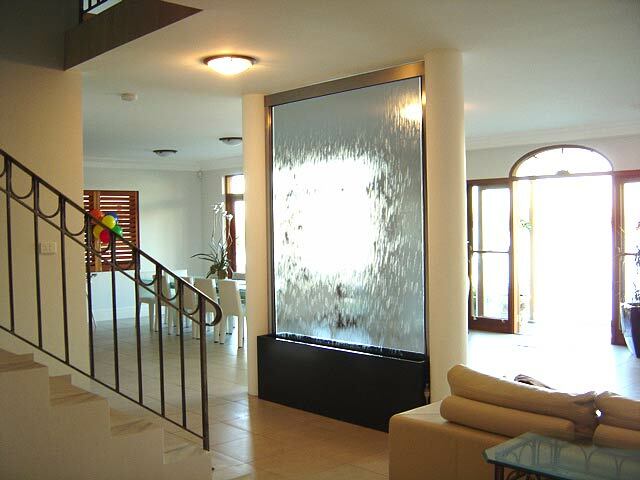 The waterfall surface can be made to just about any size or shape. Larger water surfaces can also be made in multiple sections to lower cost of production and installation. We also specialize in custom oversized units.